Are there any keyboard layouts designed to use a reduced set of keys, such as the home row (asdfghjkl;) and the rows above and below? I imagine typing would be easier to learn, a possibly more efficient, if (for example on the qwerty keyboard) the A and ; keys could double as left and right shift, the S key worked like num-lock, exposing a numeric keypad on the right side, and L key exposed punctuation and brackets on the left side, and so on. Ive looked briefly at some key mapping software, and it seems that some products would allow this remapping (in effect creating additional modifier keys, with a default output if pressed alone), but it seems quite laborious to set up. Does anyone know of a product that enables this sort of setup easily? Any research about whether such a scheme would work well in practice? Changing a keyboard layout after you are used to one is a really tough job, not worth the initial ease. I had such a keyboard, a few years ago. It was on an old (2002-ish) laptop, but it worked fine. It had the three basic rows of keys and the number row, but no numeric keypad and no lock buttons. The Fn key turned various keys into other keys. For example, the Print Screen button doubled as Num Lock, 9 doubled as Scroll Lock, and 8 as Pause/Break. On hitting Fn + PrtSc, a numeric keypad became available by holding Fn and using the right hand side of the normal keyboard. It has to be said, it seems like modifier keys (Ctrl, Alt, Fn, Shift) were used much more in older, smaller laptops that had to be small to be light. 60% keyboards are widely available. KBC Poker is a well-regarded model. Really depends on what keys you need. I like how compact they are but use media keys and arrow keys, so find the 60% layout annoying. I would be hesitant to implement the kind of thing you describe on software keyboards, where complex use of modifier keys is more difficult. Not the answer you're looking for? Browse other questions tagged keyboard-layout ergonomics or ask your own question. 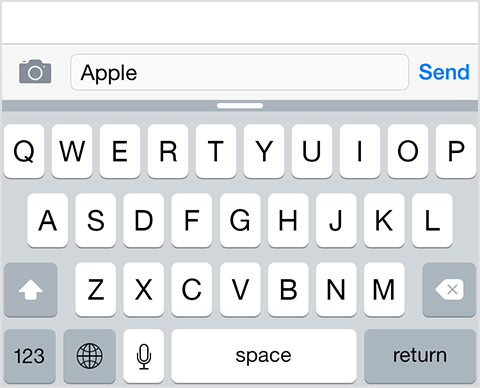 Should 'ABC' keyboard layout be used in single-purpose devices?